Leaves (artificial or real) If you decide to use artifical, we found a deal here. 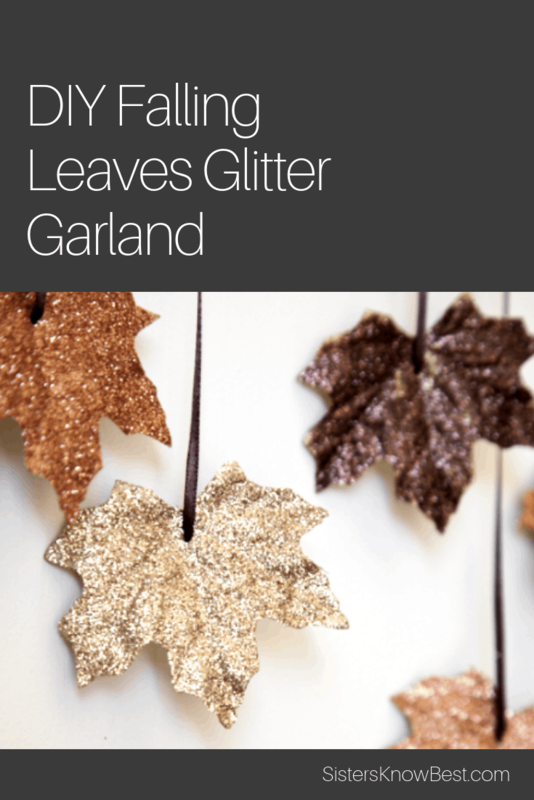 Paint leaves with glue or use your spray can of glitter. Sprinkle glitter over the leaf. Use a hole punch to make a hole in the leaf. OR tie individual strings of leaves (without the garland piece of ribbon) anywhere in the house. This was a lot of fun to make and they will last for months! Use a variety of glitter colors, even the non traditional colors to make it extra jazzy. 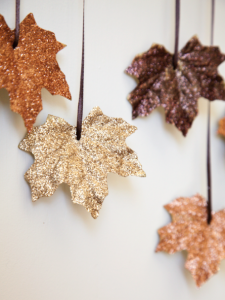 A word of caution – as with any glitter project, consider placing a plastic tablecloth under your project. It’ll make for easy cleanup. This also is a great opportunity to have your little helpers learn the joy of vacuuming! 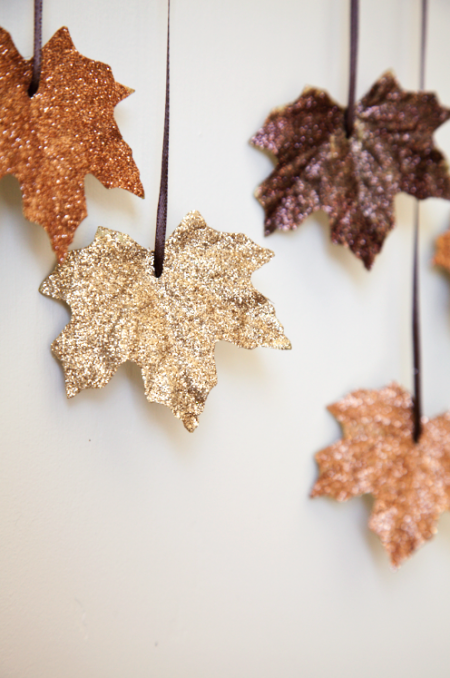 Show us your DIY Garland Leaves on Facebook!